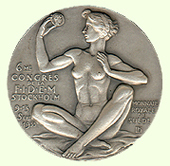 FIDEM, the International Art Medal Federation, was established in 1937. 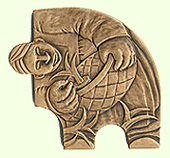 Its aims are to promote and diffuse the art of medals at international level, to make the art known and to guarantee recognition of its place among other arts by increasing awareness of the art, history and technology of art medals, mainly through publications and the organisation of international events. 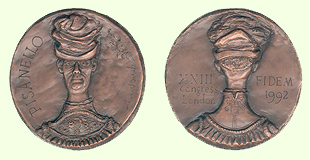 FIDEM also organises a congress every two years and an international exhibition of the art of medals in order to promote exchanges among artists and to make their work known internationally. FIDEM operates in over 40 countries worldwide. It is represented by a delegate and a vice-delegate in every country, who maintain regular contact with the artists, FIDEM members and other people interested in the art of medals from their own country. FIDEM publishes the magazine Médailles, which contains information on FIDEM activities and the minutes of each congress. Members receive this free of charge. FIDEM members also receive The Medal magazine, which is normally published twice a year.